Wow - what a find! This gorgeous 5-bedroom, 3-levels brand new home may just be the perfection you are searching for. 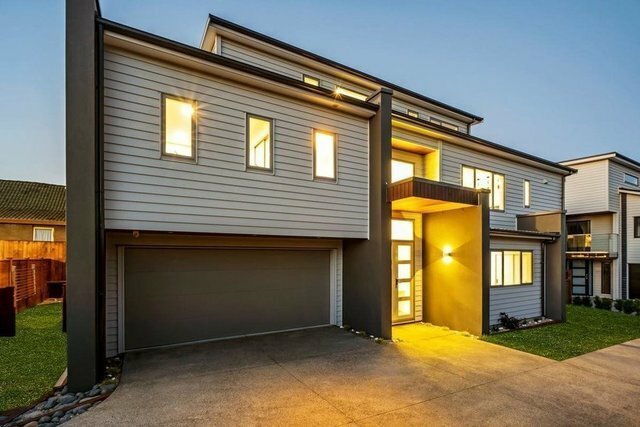 Lying on a freehold section with 10 years master builder warranty, and in the highest rated school zone in Auckland. Whether it's having a quiet morning coffee on the balcony, a barbecue in the backyard with friends, or a relaxing evening walk along the beach just a stroll away, you will quickly settle in and feel at home here. Adding the bonus of knowing your children's education is well taken care of, given that we are within walking distance of the sought-after Macleans College, Bucklands Beach Intermediate, Bucklands Beach Primary, Pigeon Mountain Primary, and there's little not to like about this property.Nestled back from the road, sitting majestically on an elevated flat section, the design and layout of this magnificent home creates delightful, comfortable living for all the family.The entrance to this grand home leads to the spacious living areas, with a handy bench top with sink and two genuine size bedrooms. Entertainers will delight with the seamless indoor-outdoor flow onto the deck, and the landscaped gardens allow for low-maintenance care. Moving upstairs, we encounter another two generous bedrooms, including master with ensuite and walk-in-dresser, a full bathroom, the spacious living areas, with the modern kitchen and large dining area. Moving to the third level which is the ultimate master bedroom with spectacular views on the level! Location is paramount, and you can be assured of a quality education for your children! Furthermore, with the new Pak'n'Save under development in highland park, you will soon be living just minutes from everything, while also just minutes from Half Moon Bay Marina and Howick Village.Additional features such as home ventilation system, and mains gas for cooking, hot water, and heating complete this superb home! Perfect on Peninsula! This is Bucklands Beach dream come true!